Indoor climbing the Craggy way is a fun, sociable activity with lots of challenges and thrills thrown in. It’s an extreme sport undertaken in a comfortable environment and a unique way to keep fit. We believe in supporting and encouraging climbers of all abilities and helping them to get the maximum from their ongoing adventure. 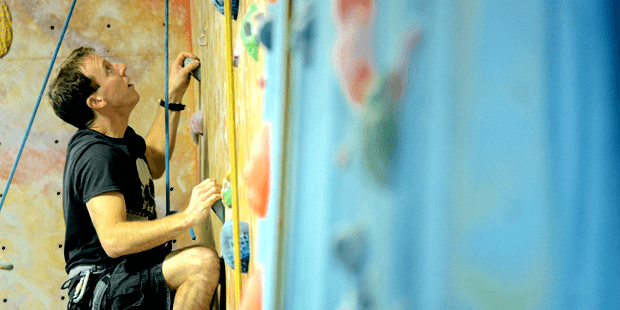 We offer expert climbing tuition in lots of attractive and accessible packages, plus many options for climbers with experience to come and find the mental and physical workout they’re looking for. 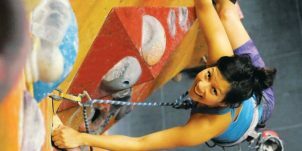 Craggy Island Guildford our fully Air Conditioned centre has hundreds of top roped and lead climbs, plus bouldering, auto-belays, training and beginner areas and an excellent café. 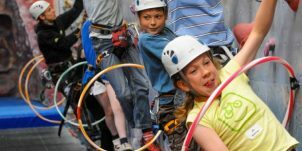 Craggy Island Sutton is a dedicated bouldering and caving centre, plus a fantastic kids’ party destination.